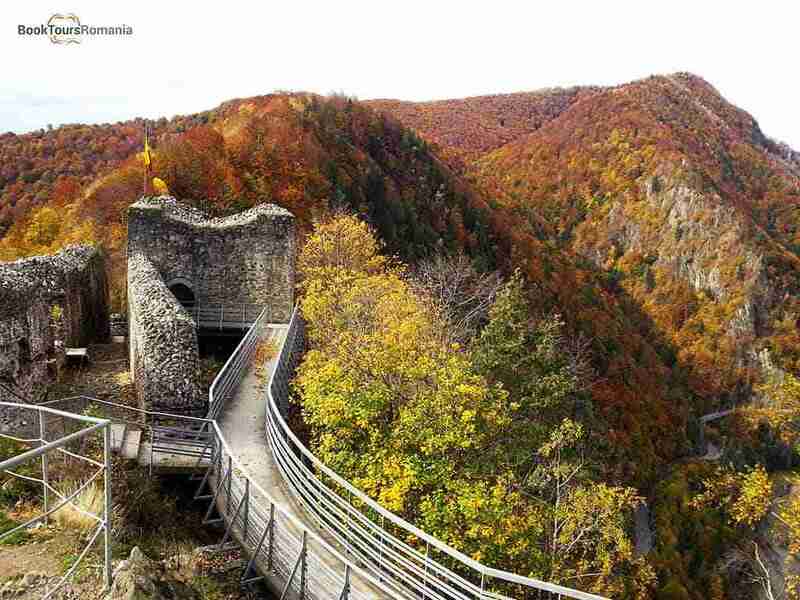 The land between the Carpathians, the waters of the Danube and Olt river, is as colorful as its name: Wallachia. It refers to land of the Vlachs (an ancient name for Romanians). The main cities of this historical region are: Bucureşti, Craiova, Drobeta-Turnu Severin, Ploieşti, Târgovişte. The region between the Danube, Olt River and Carpathian Mountains was once covered by the Vlăsiei woods. Today, the area is cleared to make way for large cornfields. Wallachia is as varied as its different names. The region is known as the Romanian Land or Wallachia, named after its inhabitants, the Vlachs. 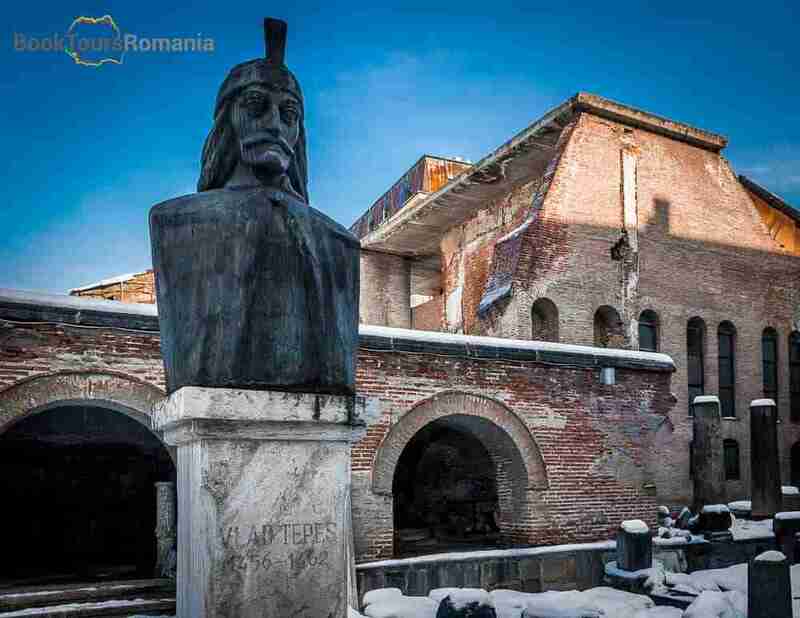 Here the legendary Vlad the Impaler ruled and became infamous (1456-1462). Later he inspired the Irish writer Bram Stoker to create his vampire character, Dracula. Beyond the large plains of Wallachia rise the Carpathian Mountains, with the magnificent gateway to Transylvania, the Prahova Valley and its chain of resorts. 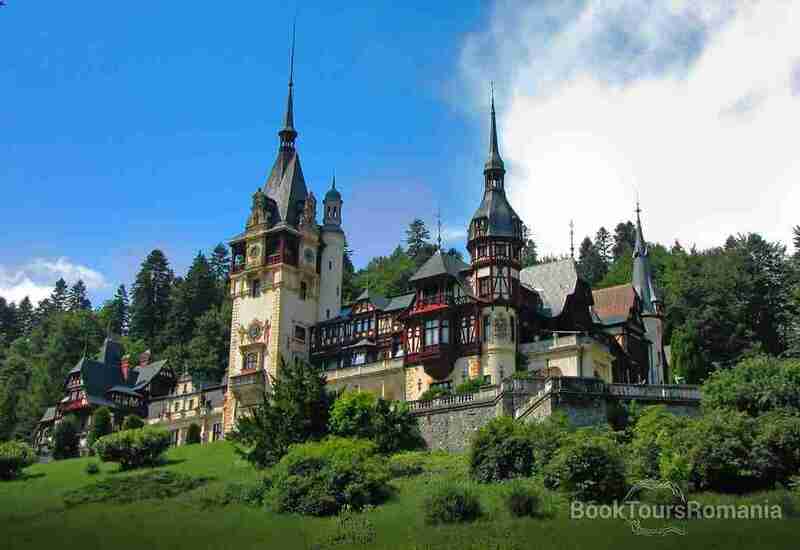 Among them, the resort of Sinaia, where you will discover a masterpiece of German neo-Renaissance architecture; Peleş, one of the best preserved royal castles in Europe. 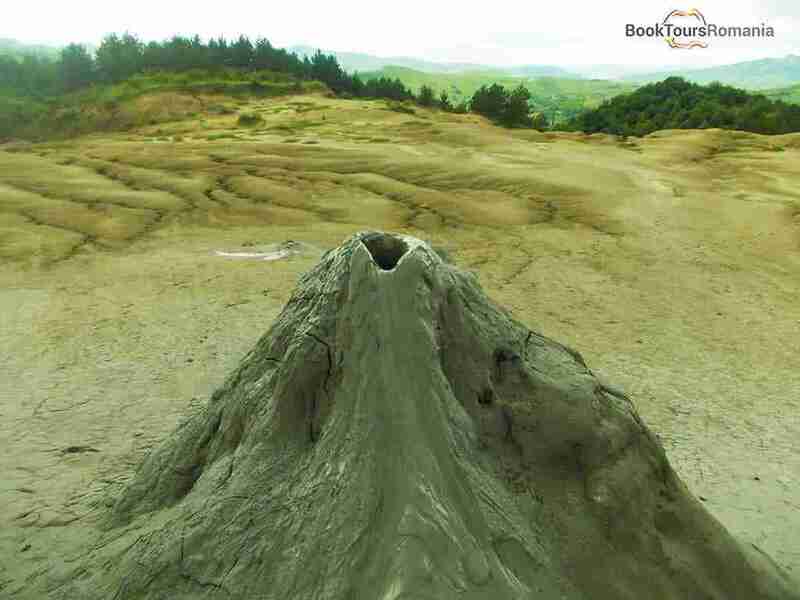 For enthusiasts in natural phenomena we recommend the Mud Volcanoes of Berca the the Dâmbovicioara caves. Wallachia does not lack in centuries old places of worship. Snagov, Caldaruşani, Cernica are monasteries which well merit attention. Besides the 400 year old Comana Monastery, a monument to silence, culture and faith, is the Natural Park with the same name, where the “secret delta” of Wallachia is found. It reproduces, on a small scale, the biodiversity from the Danube Delta. Comana Marsh is the third largest wetland in Romania, formed by the gathered waters of Neajlov and Argeş rivers. Fortunately for fishermen, it’s only here you can find some rare species of fish. Among these, very rare in Europe is the “glossy” considered a true living fossil of the sweet water fish world. Slănic Prahova spa resort is situated on a salt deposit with a thickness of 600 meters. After going 200 meters down with a lift-cage, you discover 14 galleries on two levels, real salt cathedrals designed for those with respiratory problems and for leisure. Other attractions are the Cave and the Bride Lake. The last one was formed by the collapse of a mine roof, and the legend says that a bride drowned here, abandoned in her wedding night. In the former royal residence city is the monastery where several Wallachian voivodes are buried, along with all the Romanian kings. 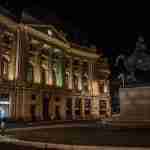 The monument, built in 16th century is the symbol of the sad legend of Manole, the artisan. 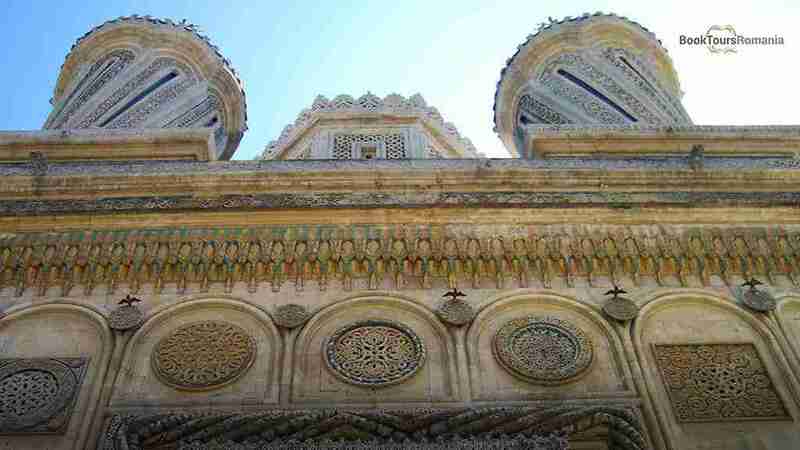 It is said that he built his pregnant wife into the building walls, in order to complete it. The deep meaning of the legend is that any creation requires a sacrifices. Climb the 1480 steps up to the traces of the citadel, fortified by voivode Vlad the Impaler, on an abrupt rock, over 200 meters above the Argeş Passes. Once you reach the top, your effort is rewarded by an amazing view. The chronicle legend says that Vlad strengthened the fortress through the forced labor of rebellious boyars. Local folklore named this strategic point of anti-Ottoman resistance “the eagle’s nest of old mighty”. A selenar landscape can be found in Pâclele Mari and Pâclele Mici (Buzau County). This is unique in the country and very rare in the world: miniature craters, with gas emanations on a clayey ground. From the soil erupts, at irregular intervals, a gray and viscous paste. 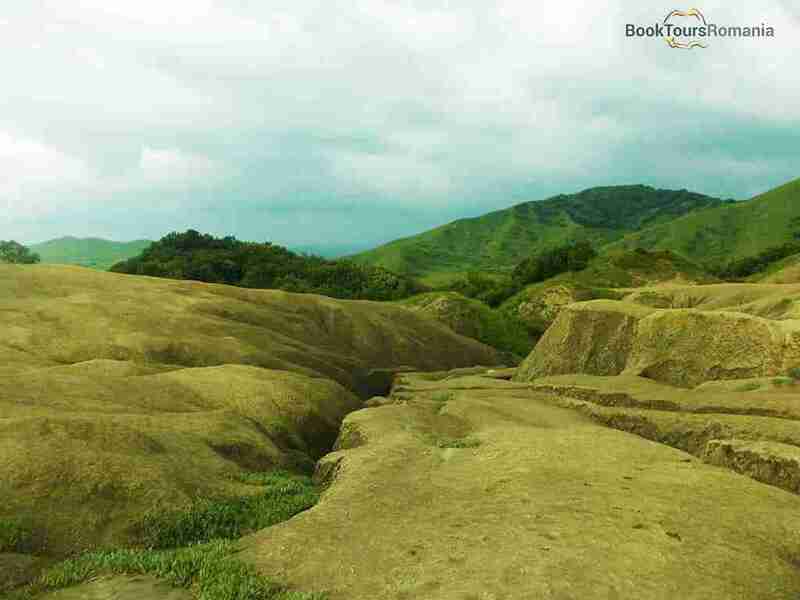 The mud that comes out and dries in contact with air to form conical structures, like volcanic craters. Cold mud comes from great depths. If you approach such a volcano, you can hear it bubbling in the deep. Mud volcanoes lie on about 30 hectares. You will be impressed not only by the landscape of this protected area but by the particular plants that have adapted to the salinity around. In the famous resort, Sinaia you can find the quiet area of the National Museum Peleş including Pelişor and Peleş castles, the watchtower and the park in which they are situated. Peles was the summer residence of the first king of Romania, Charles the first (1883). Peleş is the first electrified castle in Europe, built in neo-renascentist German style.